MSNBC's Chris Matthews was caught on a hot mic commenting on Melania Trump's "runway walk" during the network's Indiana primary coverage. "Did you see her walk? Runway walk. My God is that good," Matthews could be heard saying as the Republican frontrunner's wife walked onto the stage. "I could watch that runway show," Matthews said. 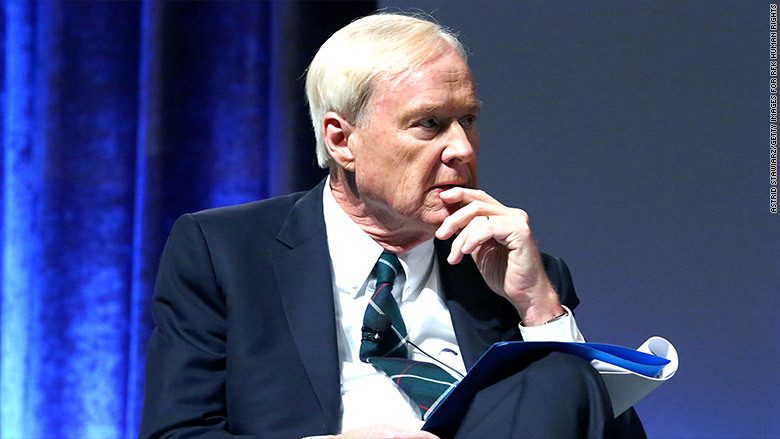 An MSNBC spokesperson said the network would not comment on Matthews' remarks. Reached by email, a spokesperson for Melania Trump described her as "an accomplished businesswoman and entrepreneur in her own right," and said it was "unfortunate to see the continuous inaccuracies and misrepresentations made by the media of Mrs. Trump as anything less than the independently successful woman that she is." Matthews' comment about Trump is the latest in a string of remarks the MSNBC host has made about women's appearances over the years. During the last presidential cycle, in 2011, Matthews said there was "something electric" about the way Sarah Palin walks and moves, and called her "very attractive." In the 2008 cycle, Matthews said that Hillary Clinton looked like Nurse Ratched, the antagonist in "One Flew Over the Cuckoo's Nest." Years earlier, he had described her appearance as "witchy." Matthews has also said he believes it would be "hard" for a woman to serve as president. "I was thinking how hard it is for a woman to take on a job that's always been held by men," Matthews said in 2006, after Clinton won re-election as Senator of New York. "We were watching Hillary Clinton earlier tonight. She was giving a campaign barn burner speech, which is harder to give for a woman. It can grate on some men when they listen to it, fingernails on a blackboard, perhaps," he said.